Sold this unique townhouse cluster offering 3 bedrooms plus study presents a modern and luxurious lifestyle positioned perfectly within the complex. 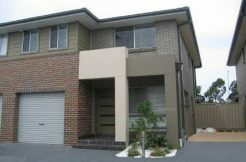 Built to accommodate a full family, this home is perfect for those looking to spread out and enjoy the life style close to all local amenities. 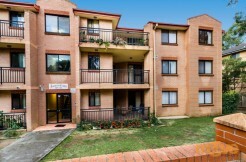 This townhouse sale is a splendid offer for the first home buyers as well as the opportunistic investors. The most discerning purchaser will be impressed by the sense of light & space created by the highly polished ceramic flooring, living/dining spaces and boutique presentation of this SOLD residence. Open plan living opens effortlessly out to the private, easy-care courtyard garden and pergola perfect for entertaining. The gas cooking kitchen featuring sleek stone benchtops, electric oven, dishwasher and ample bench space. If you have been looking for a low-maintenance home that you would be proud to show off to family and friends, be quick to discover this easy care lifestyle. This bright and sunny home SOLD is ideally located within walking distance to train station, local schools, shops and transport. Contact the agent for a special deal now!